Cable-TV apologists keep offering the same tired defense. When will they learn? About 18 months ago, I tried to dispense with the notion that it’s hard to save money by cutting the cable TV cord. You’ll have to forgive me for essentially writing that column all over again, but cable-TV cheerleaders still haven’t listened to reason. They continue to argue that the costs of streaming-video services add up, to the point that cable TV remains the more economical choice. I call it the gee whiz argument, because its purveyors all seem to have the same obvious epiphany: If you subscribe to every available streaming service, you’ll end up paying a lot of money. It never seems to occur to these naysayers that the ability to pick and choose is the entire point of quitting cable. So, let’s see, if you pay for Hulu Plus (which is now just Hulu, since they’re dropping their free tier) that sets you back about $8 per month. And if you go subscription free [sic; he meant ad-free] that’s $12 per month. And Netflix is another $10. And HBO Now is another $15. And obviously you’re going to get the new commercial free CBS, so that’s $10 per month. What are we up to? About $47 before tax? And then you toss on your high-speed internet bill, which you’re probably paying to the cable company anyway. Yeah, this whole cordcutter thing sounds like it liberated consumers alright, doesn’t it? The issue, however, is that the costs can very easily pile up. An entertainment-loving consumer, for instance, may dole out large amounts of cash to get his or her hand on content. If Netflix costs $9 per month, but the person also wants TV programming from Hulu and music streaming from Apple, they’re paying what amounts to a tank of gas each month for relatively little content. If Amazon’s wildly popular series Transparent catches his or her eye and the person happens to be a fan of professional wrestling and wants access to WWE content, the costs go up again. And now that YouTube is dangling an ad-free service that would be complemented with original programming, it’s well within the realm of possibility that this theoretical consumer is paying $50 to $100 per month for all of the services he or she desires. So you cancel your cable TV and sign up for that $20 a month Sling TV package. But then the new season of American Horror Story starts. So you grab that on iTunes for $29.99 a season. You also need a $10-a-month HBO Now subscription for Game of Thrones. You already have an $8-a-month Netflix account, so you can keep watching House of Cards and Jessica Jones, but then you hear that The Man in the High Castle is really good, so you get an Amazon Prime subscription for $99 a year. Before you know it you’re also subscribing to ad-free Hulu for $12 a month because, you know, who needs ads? Now all that HD content is burning through your Comcast data limit. Or maybe didn’t but your internet bill still goes up by $10 and suddenly you’re spending about what you were for cable TV in the first place. There are plenty more examples, but there’s no need to quote them all. Each one consists of the same unoriginal thought about whether you can save money through cord cutting. And they’re all demonstrably, empirically wrong. The thrust of all these arguments is that once you’ve subscribed to three or four streaming services, you might as well just get a cable subscription instead. But the math doesn’t work out that way if you examine the numbers instead of just making them up. Cable TV might seem cheap when you first sign up, but that’s only because you’re getting a short-term promotional deal, and the advertised price rarely factors in hardware rental and other hidden costs, such as regional sports fees and broadcast retransmission fees. Keeping your payments down requires constant vigilance, and you’ll never actually pay the advertised rate anyway. Streaming devices like the $50 Roku Streaming Stick are much cheaper than renting a cable box in the long run. Clear away the smoke and mirrors, and the cost of cable or satellite TV service is pretty steep. 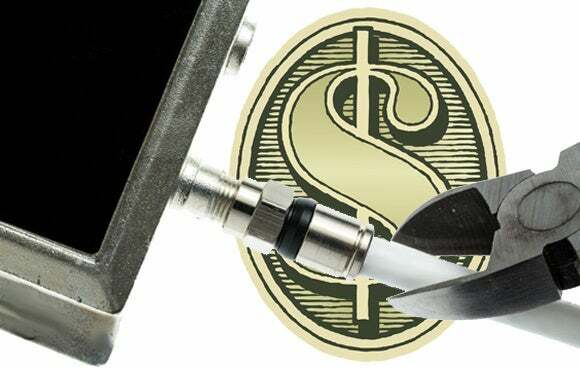 As of 2014, a standard channel bundle cost $71.45 on average according to the Federal Communications Commission. Based on historical and ongoing rate increases, we can conservatively assume that prices have climbed by 3 percent per year since then, to an average of $76 today. Still, that figure doesn’t necessarily include cable boxes and DVR service. (Equipment is included in the average only if the cable provider doesn’t charge extra for it, which is rare.) A separate survey tells us that the average U.S. home spends $19.25 per month on hardware rental fees. In total, then, a cable TV package with equipment costs about $95 per month today. And that’s before you add premium channels such as HBO and Showtime, or upgrade to a more expensive tier. Gee whiz, those costs sure add up! Alternatively, you could subscribe to a few streaming services for much less. PlayStation Vue, for instance, starts at $30 per month for more than 50 channels, including ESPN, and an extra $5 per month gets you regional sports networks. There are no ongoing equipment fees, so once you’ve bought a supporting device (such as Amazon’s Fire TV or a PlayStation 4), you save up to $65 per month compared to the average cable TV bill. Add Netflix for $10 per month, and HBO Now for $15 per month, and you still come out $40 per month ahead of a typical cable package, which doesn’t include those services. The more important point, however, is that you don’t have to spend a lot on streaming subscriptions. Instead, you could limit yourself to a few services such as Hulu and Showtime ($17 when purchased together) plus Netflix. Round it out with free over-the-air antenna broadcasts, and you’re paying $27 per month, which is $68 per month less than a standard cable bundle. Cord cutting is as much of a bargain as you make it. 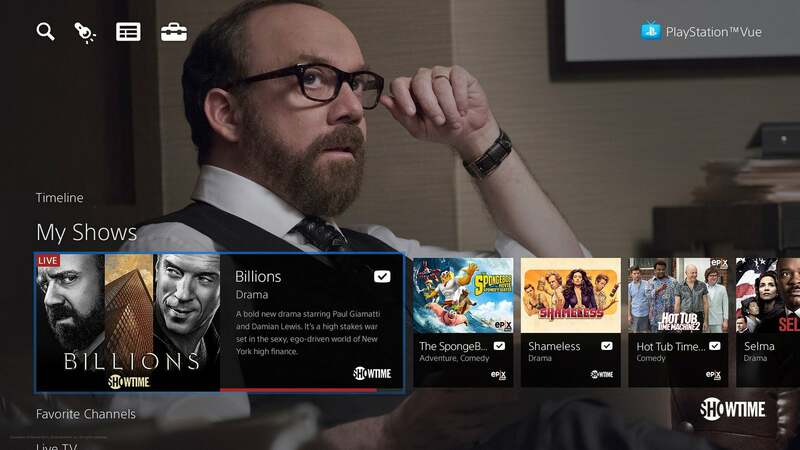 PlayStation Vue starts at $30 per month, far less than the average cable package. These aren’t just hypothetical scenarios. One friend of mine just dropped cable TV and phone service in favor of internet and streaming. Before, he was paying $220 per month for a triple-play bundle, plus $10 per month for Netflix. Now, he’s paying $80 per month for internet, plus $65 per month for streaming services (including Netflix, Hulu, and Sling TV Orange and Blue). That leaves him $85 in the bank every month. There’s also my father, who hasn’t dropped Verizon Fios TV but is considering it. Right now he’s paying about $220 per month for TV, phone, and internet. If he cut out TV, and replaced it with PlayStation Vue and HBO Now, he’d save about $50 per month. Need more anecdotes? Just look to this Reddit thread—a response to the aforementioned Gizmodo article—which is filled with stories of significant monthly savings. While cable apologists scoff at cord cutting in theory, people are saving real money in practice. Is cord cutting for you? I’m not saying everyone would be better off without cable TV. 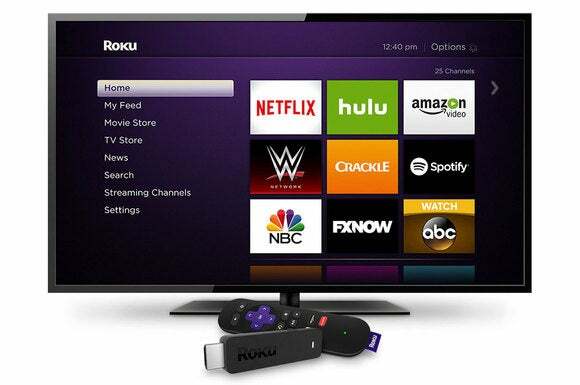 There are numerous legitimate reasons to stick with a traditional TV package, including reliability of service, the simplicity of having one TV bill, the familiarity of the cable-box interface (for long-time subscribers, at least), the convenience of DVR, and the ability to get every channel you could possibly want. Cord cutting is not some magic shortcut to a smaller bill without trade-offs—not yet, anyway. Instead, cord cutting is an alternative to the ever-escalating costs of cable, one that might involve some sacrifice, but gives you much greater control over how much you spend on TV entertainment every month. The fundamental flaw in the gee whiz argument is the assumption that people have no self-control to begin with.